PHOENIX, AZ -- A man accused of decapitating his wife and their pet dogs before mutilating himself has gone from a hospital bed to a jail cell, authorities said Sunday. 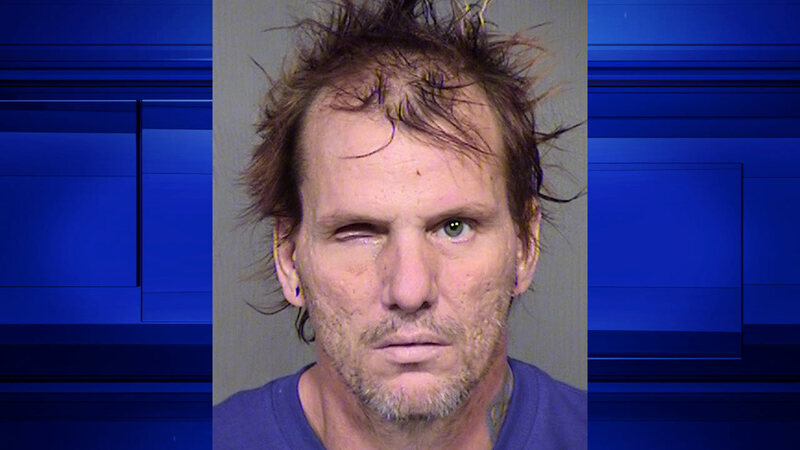 Phoenix police identified Kenneth Dale Wakefield as the man who has spent nearly a week recovering from self-inflicted wounds. Wakefield, 43, remained in a county lockup on $2 million bail after being booked on one count of first-degree murder and two counts of animal cruelty. According to the jail, a public defender will be appointed to represent Wakefield. But it wasn't immediately clear Sunday if he had an attorney who could comment on the case. Investigators say Wakefield killed Trina Heisch, 49, and their two dogs and stashed the bodies in a closet. He then gouged out one of his own eyes and cut off his left hand at the forearm. The grisly scene was discovered July 25 by a neighbor who went to check on Heisch and said Wakefield came to the door naked, covered in blood. Wakefield spent 10 years in a state mental hospital after stabbing a relative in 2003. He was found "guilty, except insane" on charges of attempted second-degree murder in the attack, a verdict that spared him prison time. In November 2014, a state psychiatric board issued an order for county prosecutors to try to extend his stay. The board's chairwoman has said the panel did everything it could in the case to ensure community safety. The Maricopa County attorney's office acknowledged earlier this week that it was unsuccessful. "Evidentiary issues precluded us from proceeding with the civil commitment process," said spokesman Jerry Cobb, declining to elaborate because the case is under seal. Wakefield was approved for release 10 months ago by the psychiatric review board based on a belief that his mental health disease was in remission and that he wasn't dangerous if he lived in a residential treatment program. Heisch also had a history of mental illness. A judge found her to be "guilty, except insane" on charges of attempted second-degree murder in the stabbing of her 15-year-old son while he was sleeping in January 2000. She was ordered to spend 10 years in the state hospital and was eventually released.